After AT&T somehow convinced the U.S. Supreme Court that a couple of sentences buried toward the end of a contract that maybe .05% of customers ever think about reading was all that was needed to preempt class-action lawsuits, many large companies have rushed to pack their user agreements and licenses with clauses that force customers into arbitration. But, stuck in a battle with an industry regulator, the folks at Charles Schwab have decided to go another way, announcing that they have gotten rid of the part of their arbitration clause that bans class-action suits… for now. Against the advice of the Financial Industry Regulatory Authority, a private regulatory agency, Schwab moved to add a clause that would flat-out forbid its clients from banding together as a class, all the while compelling each individual complaint into binding arbitration, where the payouts are generally smaller and the playing field is decidedly unbalanced in favor of the huge investment firm and its army of lawyers. But only three weeks after Public Citizen launched a petition asking Schwab to ditch the new fine print, the company has decided to once again recognize that it’s not always a good idea to screw your customer base over just because you can. “Effective immediately, Schwab is modifying its account agreements to eliminate the existing class action lawsuit waiver for disputes related to events occurring on or after May 15, 2013 and for the foreseeable future,” wrote the company in a statement. FINRA contends that Schwab’s class-action bans in forced-arbitration clauses violate the organization’s rules against brokerage firms preempting investors from filing class-action lawsuits. In February, a panel ruled in favor of Schwab, saying that the Supreme Court ruling in the aforementioned AT&T case took precedent. FINRA is appealing that decision. 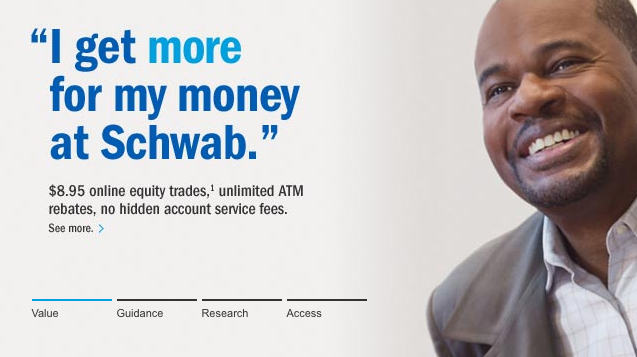 So instead of simply requiring that customers waive their right to pursue a resolution in the courtroom, Schwab has chosen to extend its existing policy of paying the arbitration fees for any client pursuing an arbitration claim under $25,000. The Schwab decision isn’t exactly a victory, as the company appears ready to put the clause back if it wins out against FINRA, but it is an indication that clear guidance from federal regulators is needed.